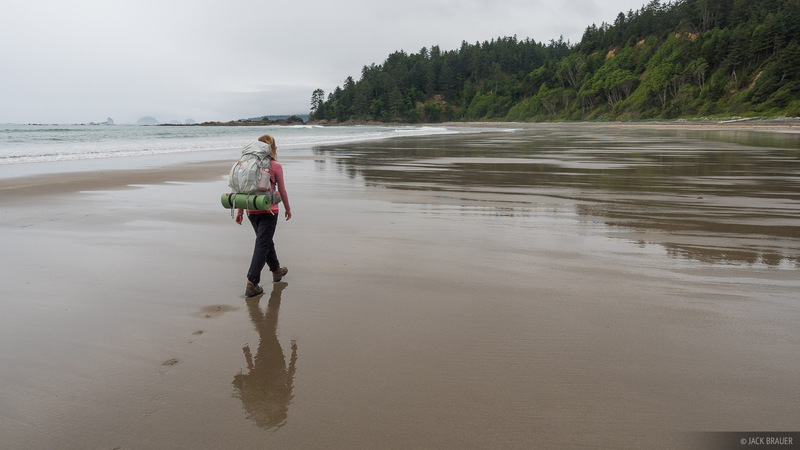 At the end of June we did a 4-day backpacking trek up the wild coast of the Olympic Peninsula from Rialto Beach to Sand Point, in Olympic National Park. 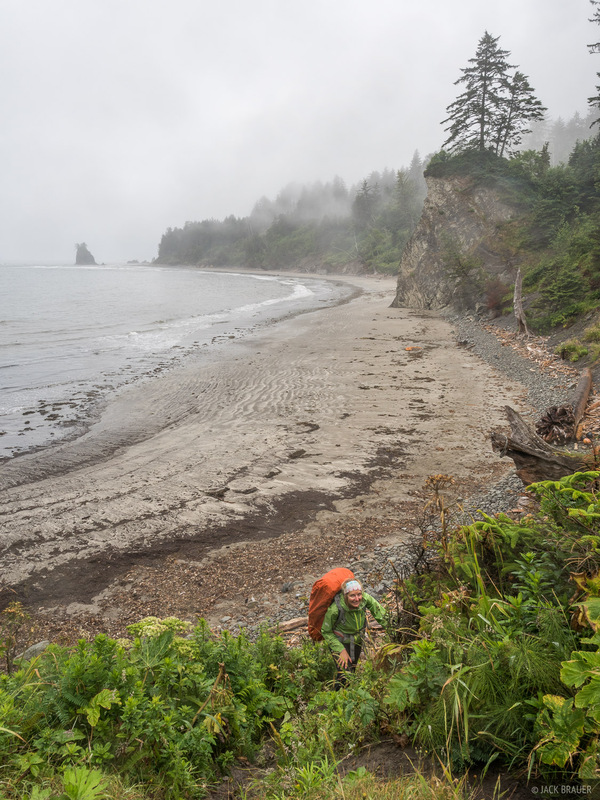 This was a fairly demanding hike with many rugged and rocky headlands that could only be passed at low tide, along with the ever present coastal fog and rain. 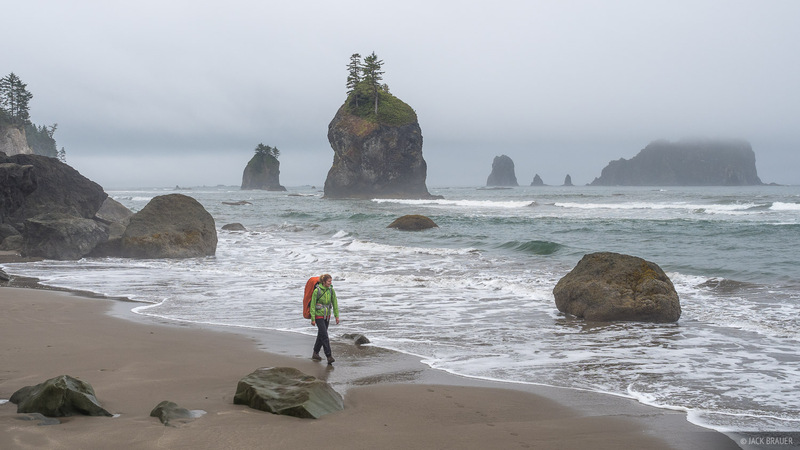 The tough hiking and weather was rewarded with secluded wilderness beaches, picturesque sea stacks, tidepools, and the company of seals and bald eagles. 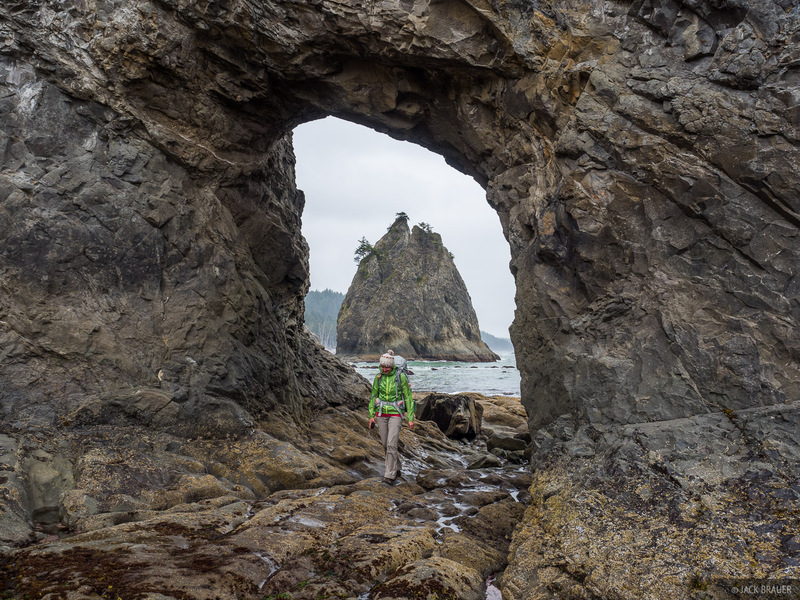 Hiking through the Hole in the Wall north from Rialto Beach. 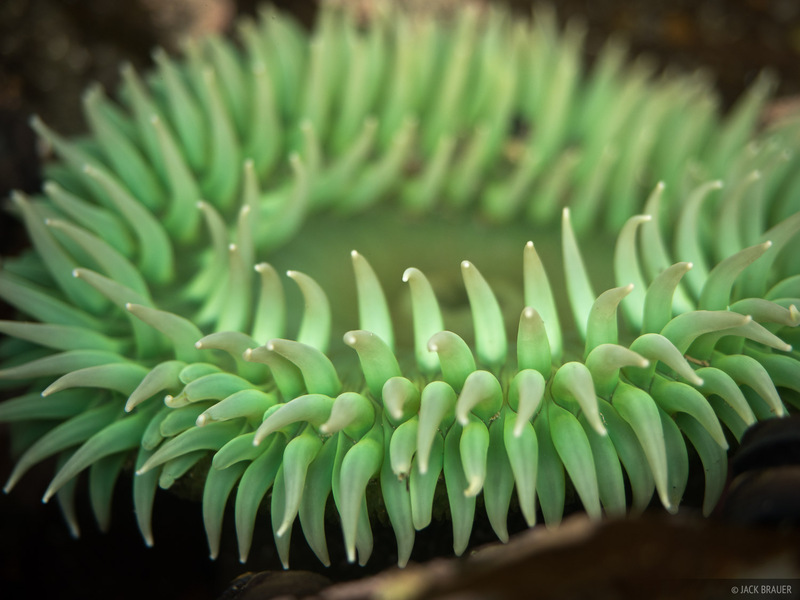 A large sea anenome in a tidepool near Hole in the Wall and Rialto Beach. 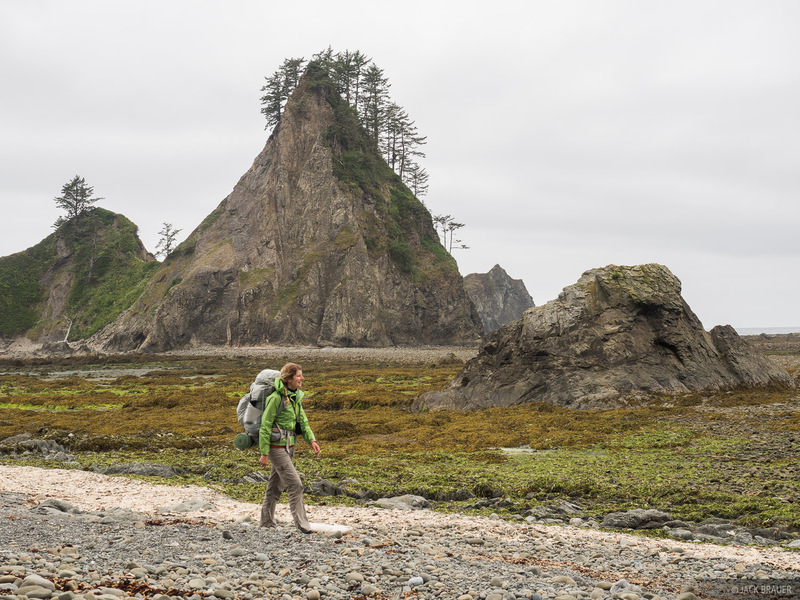 Hiking past seastacks at low tide. 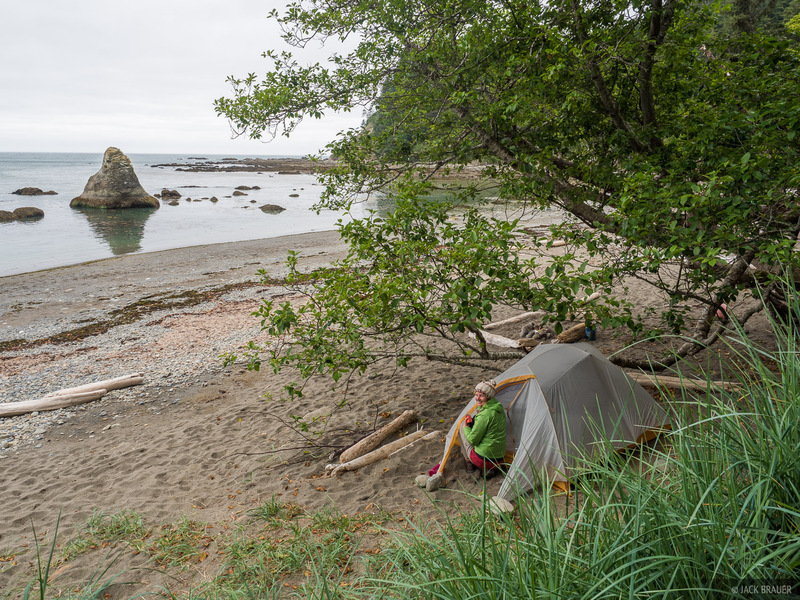 Campsite at the Chilean Memorial Camp, the first night of a 4 day trek up the coast of the Olympic Peninsula. Descending a steep trail over a headland to a secluded beach. 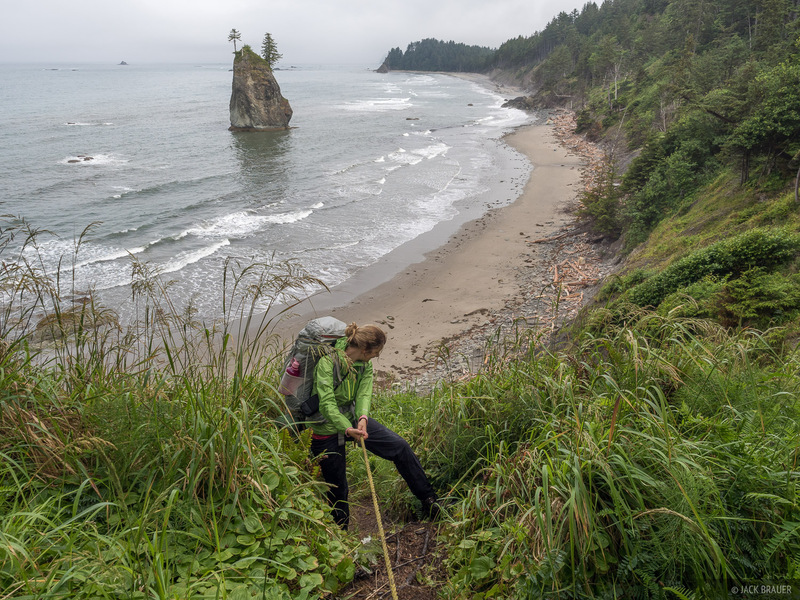 A rope-assisted descent down a steep portion of trail over a rocky headland between beaches. 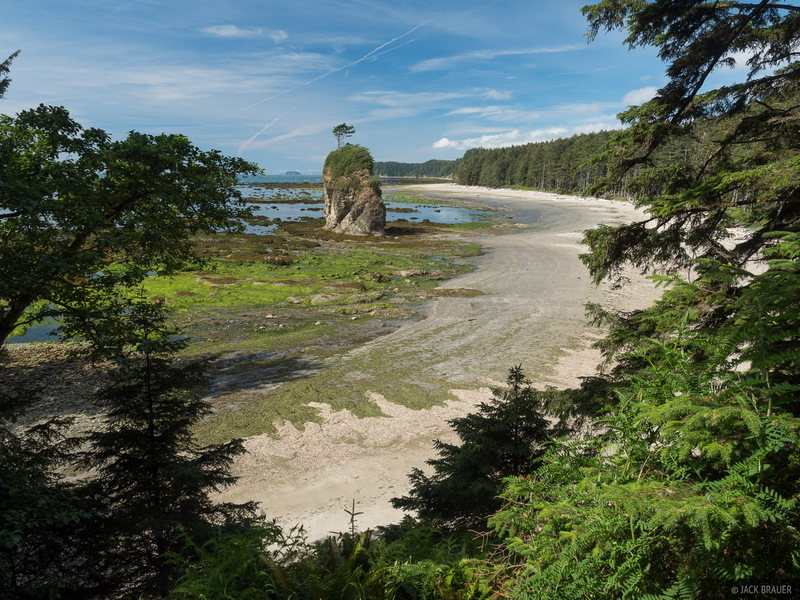 A rare sunny afternoon along the Olympic coast at Kayostia Beach. 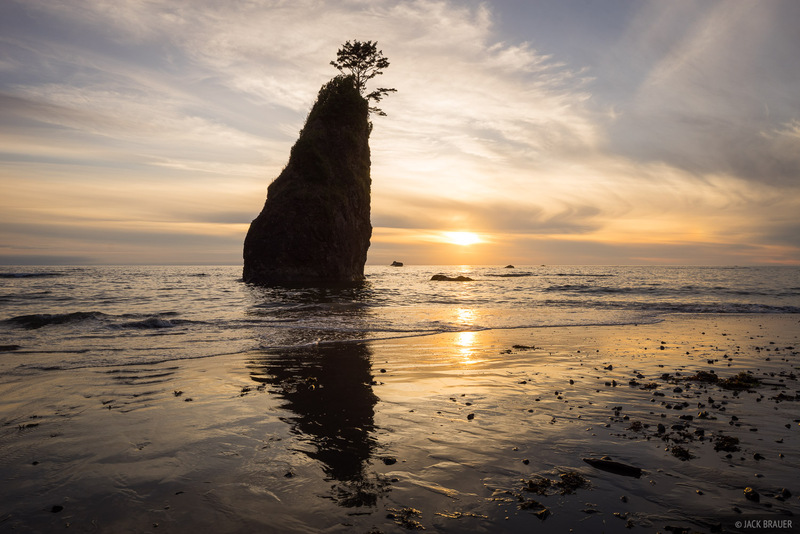 Sunset behind an odd seastack at Kayostia Beach. Easy walking along the broad beach at Yellow Banks. Panoramic view at Sand Point. Posted in Backpacking & Trekking and tagged Washington.